Our innovative and responsive approach coupled with over thirty six years operating as a Firm within the industry make us leaders in our field. We are a full service legal practice that delivers high quality, practical, cost effective solutions to business and individuals. We always aim to meet our clients’ needs in an effective, approachable and professional manner. At Cahir & Co., we believe that providing professional, cost effective legal help is only part of the service. We understand that many situations also require sensitivity and care to make the entire experience as bearable as possible for our clients. Our structured approach allows us to address legal issues and disputes promptly and effectively while helping to reduce the overall costs and disruption involved. We work with clients in the private and commercial markets and offer abroad range of legal services. Whatever legal advice you need, our open and approachable solicitors are there to provide straight forward advice. Our approach delivers quicker and simply more valuable relationships. We are proud of our history and yet our focus is squarely on the challenges and opportunities of the future. At Cahir & Co., we believe that providing professional, cost effective legal help is only part of the service. We understand that many situations also require sensitivity and care. We aim to deliver a personal service to our clients. An accomplished legal practitioner, Sharon Cahir is well versed and travelled in the fields of Probate; Personal Litigation; Business and Employment Law. Trusted and respected, she is highly regarded for her professionalism, preparedness, and most especially for her human touch. A natural communicator and educator, Sharon is skilled in eliciting the details of a case, while ensuring her client is au fait with the legal process, each and every step of the way. The guiding principle of placing the person first is not only her mantra, it is also integral to the continued success of the long established family practice, Cahir and Company, of which she is a Partner. 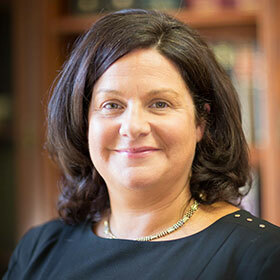 Her home town of Ennis duly recognised her ability and authority in 2004, by electing her to the post of President of the Chamber of Commerce; the Clare Law Association followed suit by according her the President’s role in 2008. William obtained a Law Degree in Trinity College and completed his apprenticeship in one of Dublin’s top ten legal firms. He gained extensive experience in the banking and commercial fields. This was further followed up by a term working in a high profile litigation practice before returning to become a partner in Cahir & Co., Solicitors. 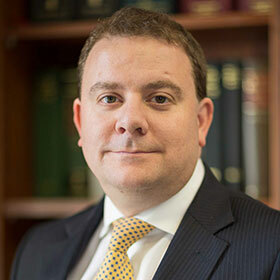 He holds a diploma in Property Law together a diploma in Corporate Law and Governance. In 2008 he was appointed as a Notary Public, commissioned for life. A native of Mullingar, Avril Collentine joined Cahir Solicitors in September 2016 after successfully training with a high profile law firm in the Midlands and being mentored by State solicitor Peter D Jones . As a diligent conveyancer Avril’s insight into complex property titles and the needs of both purchasers and sellers is highly professional with a personal touch. Having trained in Litigation, Avril has attended and represented her clients before District, Circuit and High Court regularly. Avril brings a determination to get great results for her clients at Cahir and Company. Giving of her own personal time to support those in need and volunteers at the Free Legal Advice Clinic in Ennis is important to Avril and she assists The Good to Talk Charity a suicide prevention awareness organisation . In a personal capacity Avril enjoys seeing new cultures and travelling. 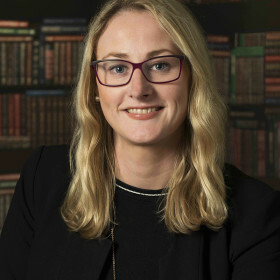 Avril is an avid supporter of her local hurling team Feakle GAA .Both of her personal interests have allowed her to become familiar with law and compensation for her clients involving travel claims and overseas accidents , claims against clubs and sports injuries. 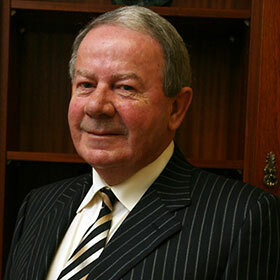 Liam Cahir founded the firm of Cahir & Co. in 1976 and practised continually as a Solicitor for over forty years advising both businesses and individuals in relation to a large variety of legal matters. He was a former President of Ennis Chamber of Commerce, the Rotary Club, Clare Law Association and a number of other voluntary organisations.